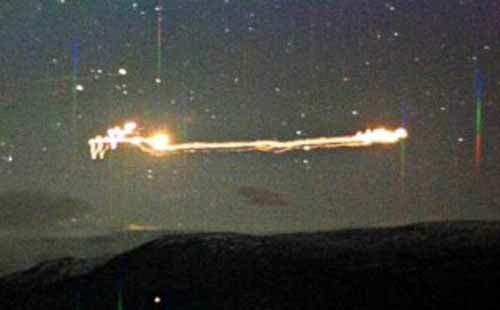 Between 1981 and 1984 the observation of strange lights of unknown origin has been intensified over Hessdalen valley in Norway. It has been reported more than 15 sightings weekly. Although the occurrence of unexplained lights phenomena and unidentified flying objects have been reported in the central region of Norway since 1930, the intensity of sighting has not been in such large scale. The scientific community, academic groups and government official have been involved in the ongoing research since 1983. Despite the ongoing research and the numerous hypotheses presented, there is no convincing clarification for the phenomenon. Hessdalen refers to a village and the 12 km long valley surrounding it, located 120 km south of city of Trondheim and approximately 35 km north of the well- known mining town of Røros. The village and the nearby valley have a population of 150. The small territory lies by mountains 617 above sea level. The mass observation of lights phenomenon in Hessdalen started at late of the year 1981 when people of the valley suddenly started to see a lot of strange, mysterious lights in the sky. The unexplained light appeared at many different locations in the village and throughout the nearby valley. Hundreds of powerful light balls were observed all over the valley. The light phenomena appeared frequently at different times in the day and nights. There were approximately 20 sighting reports a week. Residents reported seeing light like object moving down and up of the valley and sometimes very near to houses. The lights emerged with different shapes, sizes and light intensities.In some cases, the objects changed shape while moving between locations. There were observed also that some of these lights take the form of the large ball sometimes bigger than a house with great emitting light intensity and ability to maintain the light intensity for an hour. The movement of lights objects ranged from very fast to slow. There are some reports of objects moving very slowly and near the ground. The fastest speed of lights measured by a university team was 30 000 km per hour. There were attempts to make other scientific tests and measurements. In some measurement light intensity believed to have reached one megawatt. Other investigative measurements on the phenomenon have been made such as studying the reaction of lights. The scientists have found that the strange lights react and response to other sources of light such as laser beam by changing the flashing frequency and sometimes intensified it. The residents in the area reported also observations and sightings of other kinds. They told of sightings of large solid metal and craft like objects of many different shapes including sphere, cigar, cylinder-shaped moving with different speeds over the area which is very similar to classic UFO observation and experiences all over the world. Some locales described also seeing unexplained large rectangular formed holes on the ground created by cutting off a large piece of wet turf weighting over two tons and placed undamaged several meters nearby. Its observed that the roots in the turf been cut with a special type of blade. The cutting technique of the tree roots in the turf and formation of the hole shows some degree of similarity with crop circle phenomena. 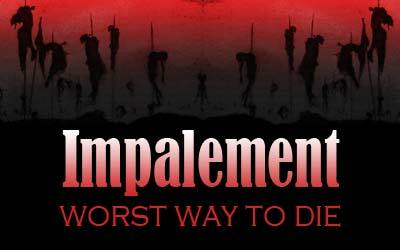 There are reports of mysterious strange things occurred near Hessdalen especially animal mutilation cases similar to animal mutilation phenomena reported all over the world, where cows and other animals been found mutilated in unusual way and circumstances which is impossible to be done by natural predators. In some occasions, unexplained lights or unidentified flying objects have been seen where animals have been mutilated. Several explanations attempt and hypotheses have been proposed by researcher and academic but none of these hypotheses gives a convincing or obvious explanation of the sightings over Hessdalen. Some of these hypotheses are not completely understood , for example, linking the phenomenon to ignition due to the presence of scandium- a rare metal found in Scandinavia. Others suggest that the light phenomenon is produced by more complicated process occurs in the atmosphere such ionization of air and dust. Hessdalen light phenomena have attracted a lot of attention from many people includes authorities, media, science community and tourist. Some scientific colleges and universities in Norway started own investigation in an attempt to explain the phenomenon. A Few of them has made a notable attempt in this way. A research team from the University of Østfold established an observations camera monitoring the valley for twenty-four hours seven days a week and they have shot many notable pictures and videos of the phenomena. UFO organizations from Norway and Sweden launched a project called project Hessdalen and started the investigation of the phenomena. Another research programme called EMBLA project led by Østfold college university and Italian national research council was started in 1998. The research program aimed to study the electromagnetic behavior of lights phenomenon by using advanced radio and spectrometry instruments. Hessdalen is a well-known place in the UFO communities all over the world and considered as a place with many UFO sightings. 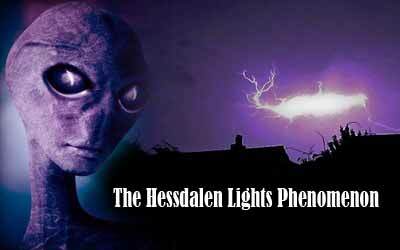 A documentary film titled “The Portal: The Hessdalen Lights Phenomenon” has been made and several numerous books have been written about UFO activity in Hessdalen. The Hessdalen Lights or UFO phenomena continue to appear regularly in the sky above the Hessdalen valley in Norway, but the recordings today are much less than 20 years back in time. Although the decreasing in strange light observations and UFO sighting numbers in the region but Hessdalen still considered as an important place for studying of the Unidentified Aerial Phenomena (UAP) and UFO activity in the world.